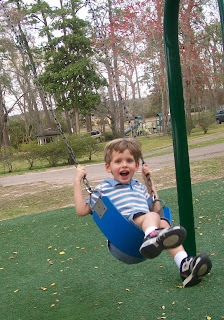 Dawson twisting on the swing. 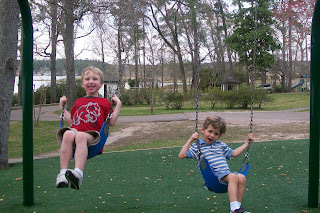 Chance and Dawson swinging together. They really liked it when I did underdogs. Cute kids!